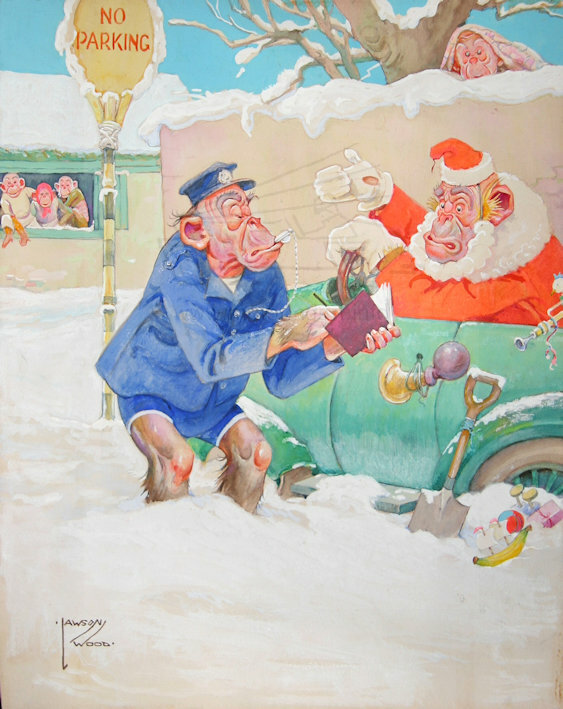 Illustrator and cartoonist often combining children in his pictures. 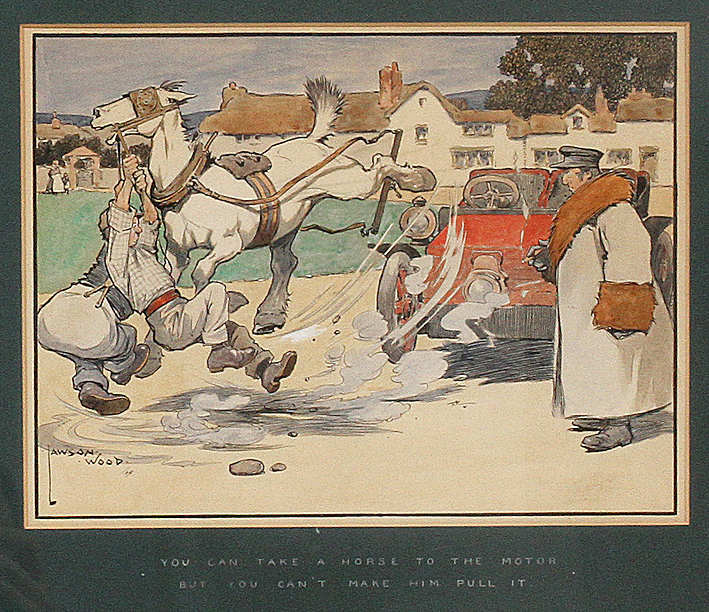 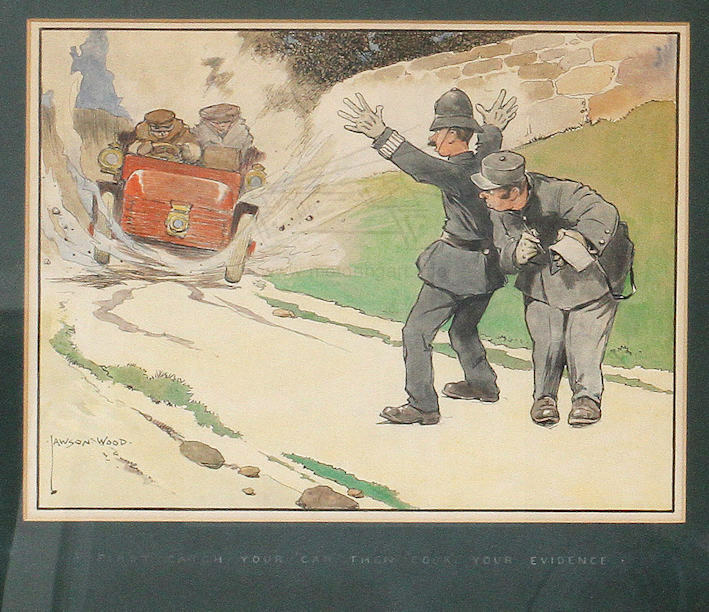 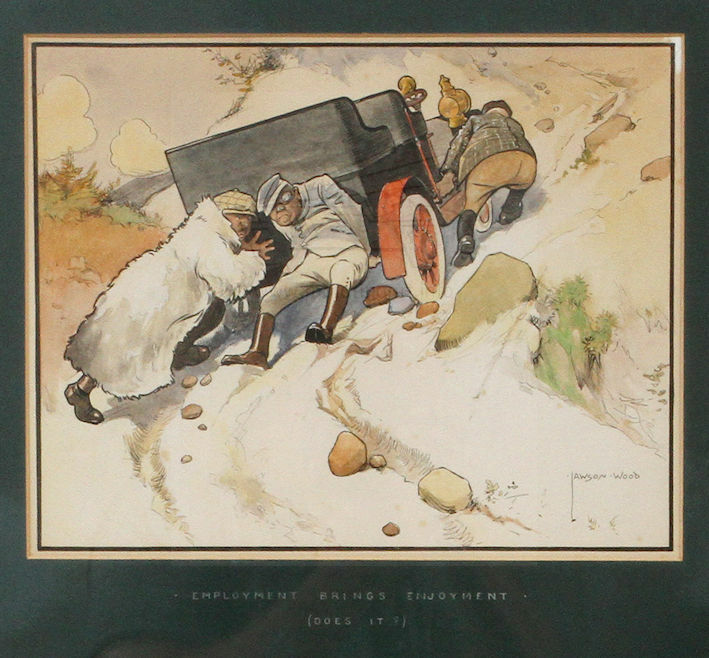 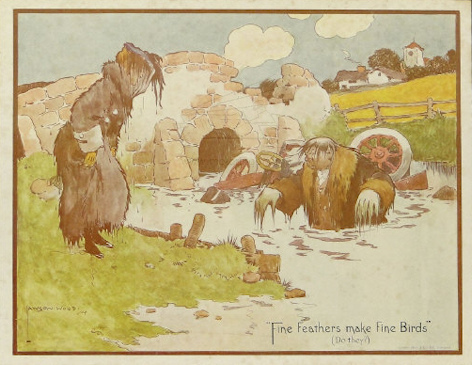 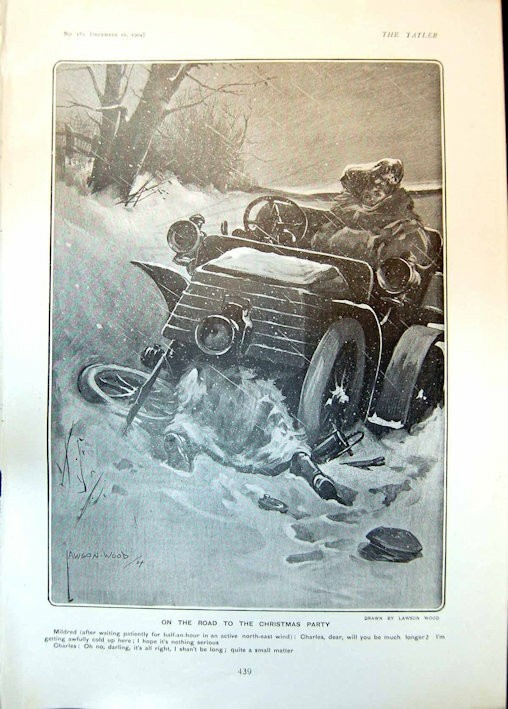 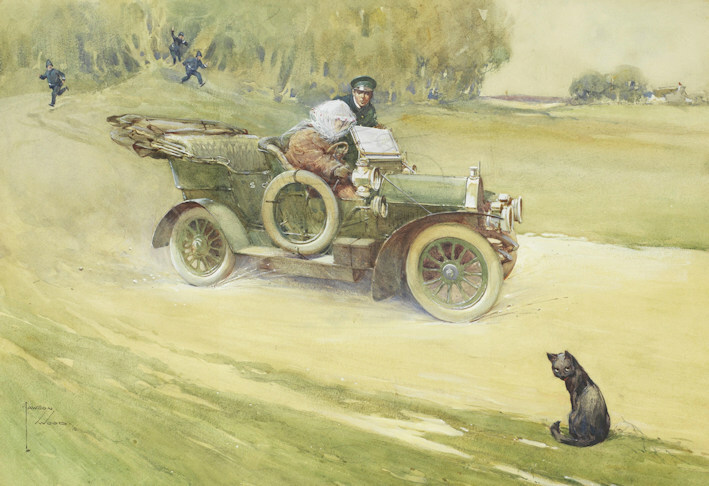 Produced motoring prints also humorous motoring scenes for motor insurance companies. 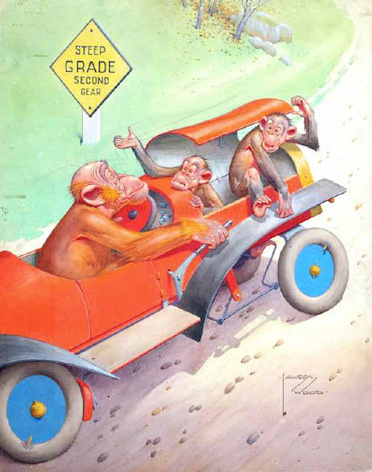 The art often featured Grandpop and the rest of his chimpanzee family. 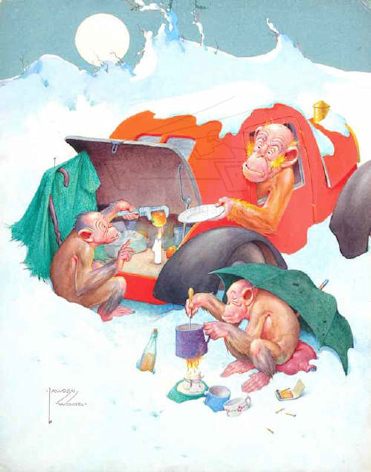 There is much written about him on various websites.